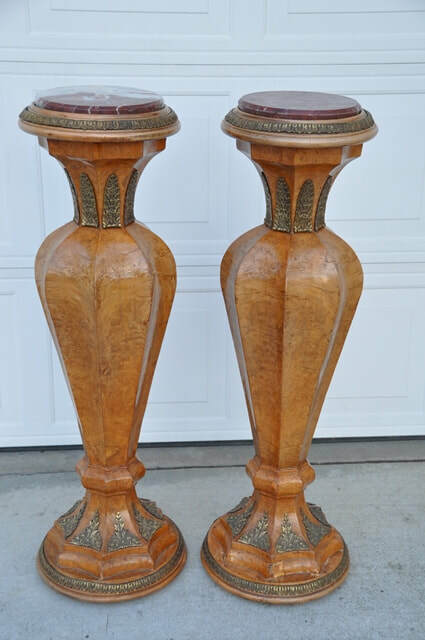 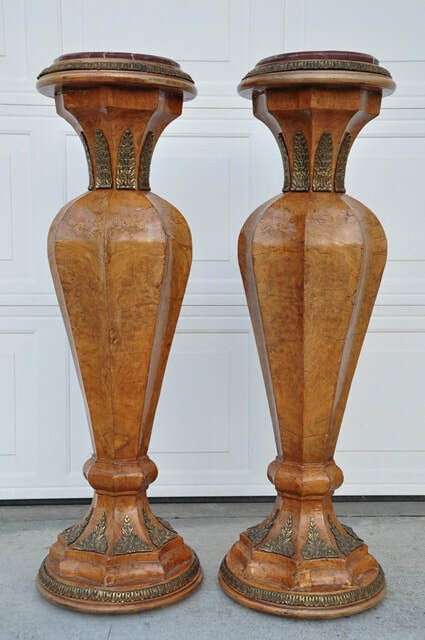 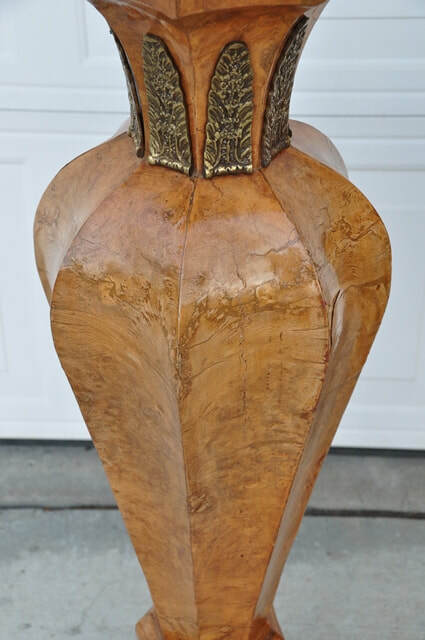 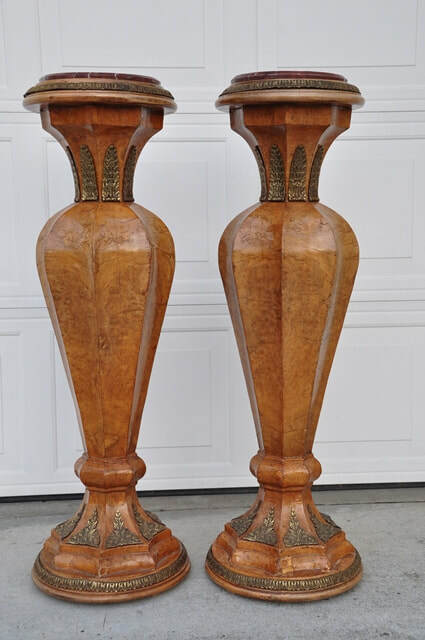 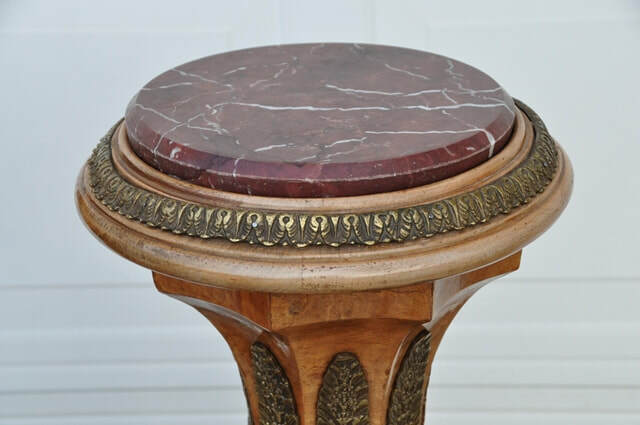 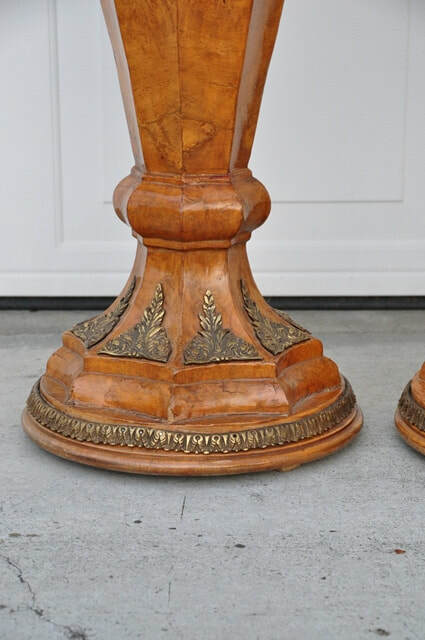 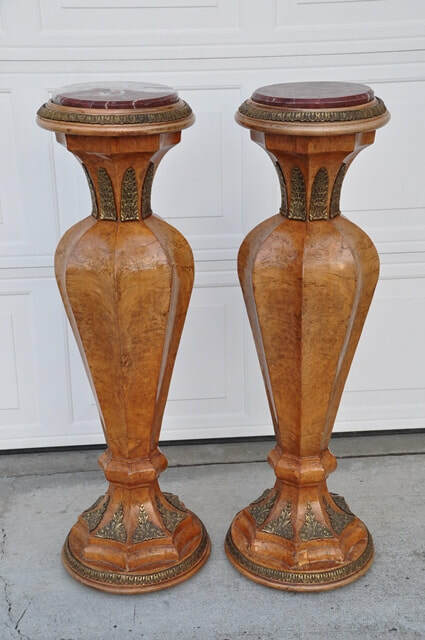 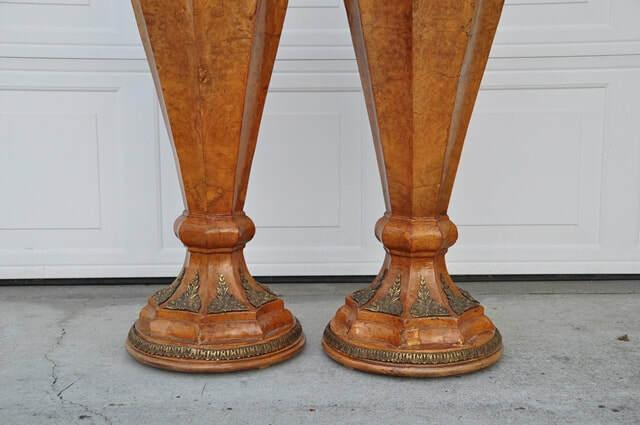 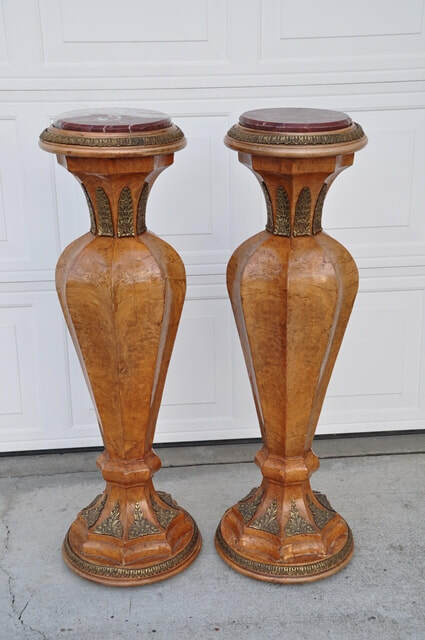 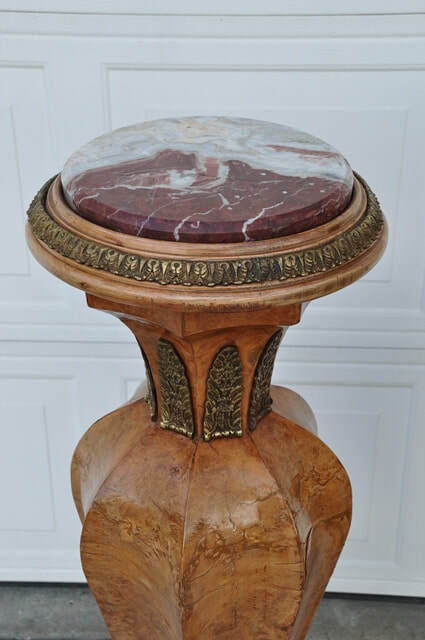 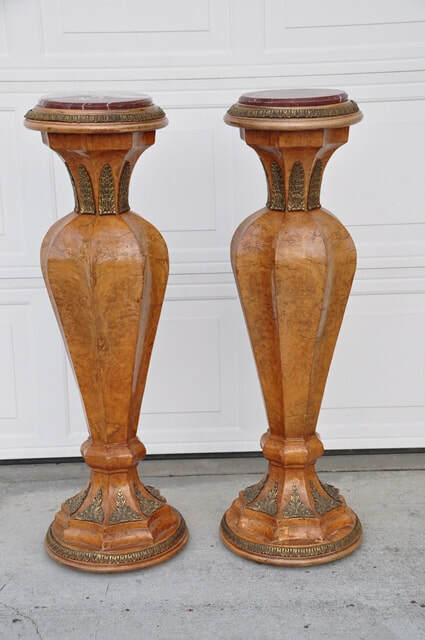 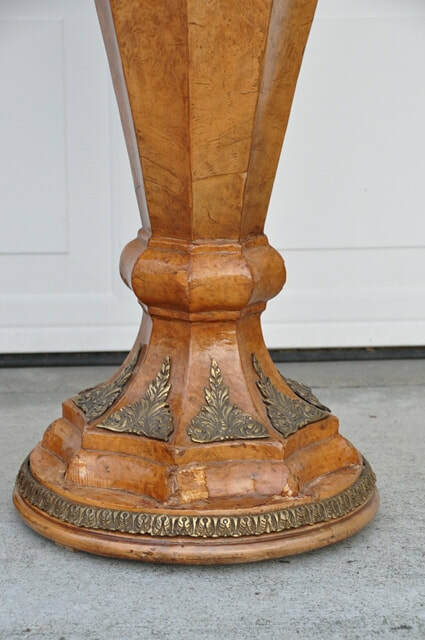 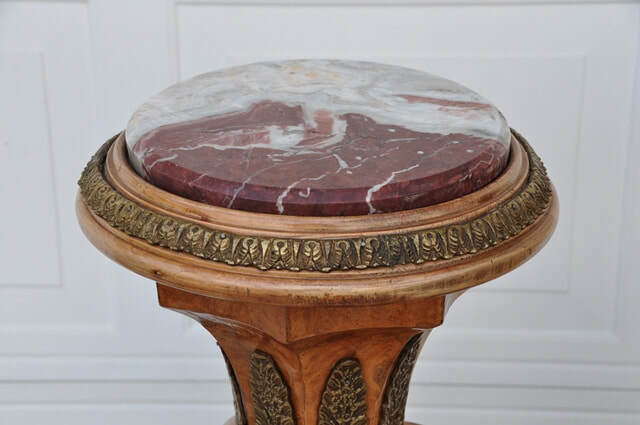 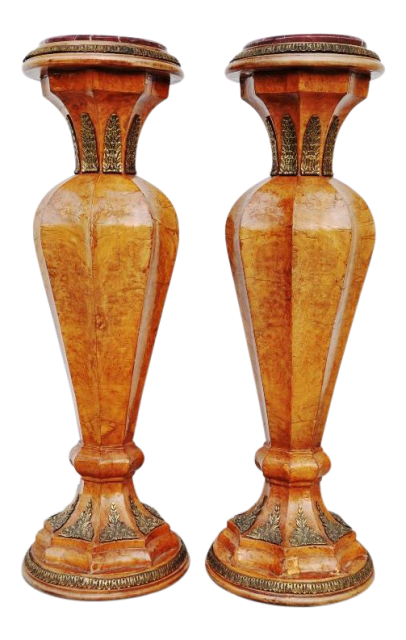 This is a pair of antique French, possibly Louis XVI style, pedestals with a very unique shape. 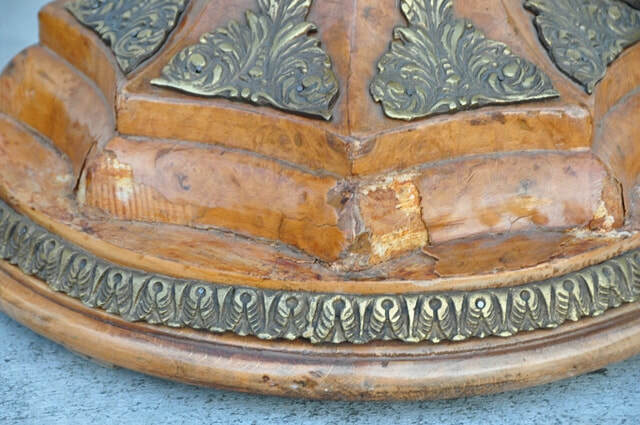 I have not seen this shape in online searches so far. 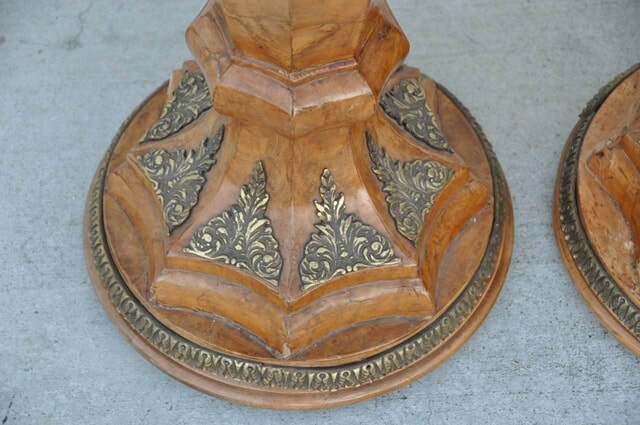 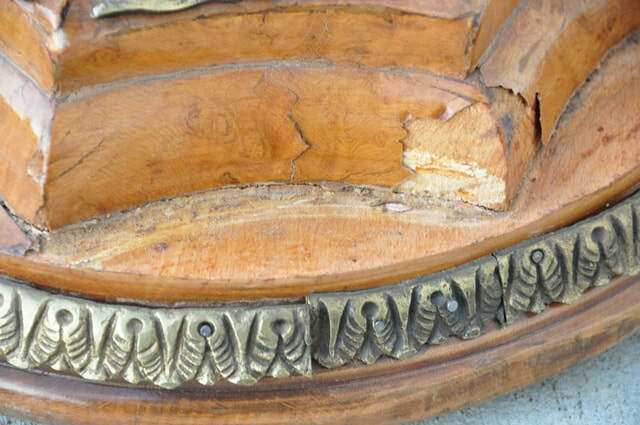 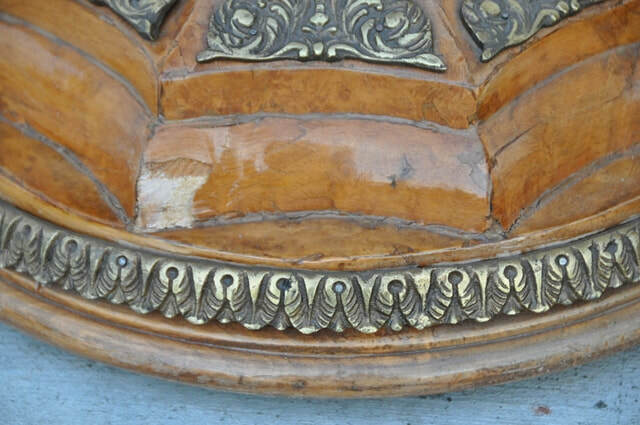 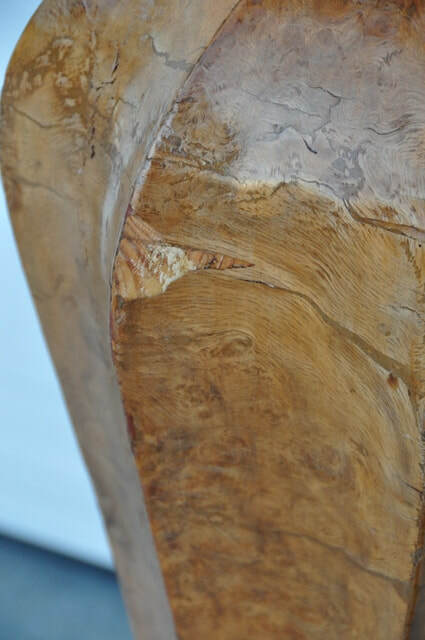 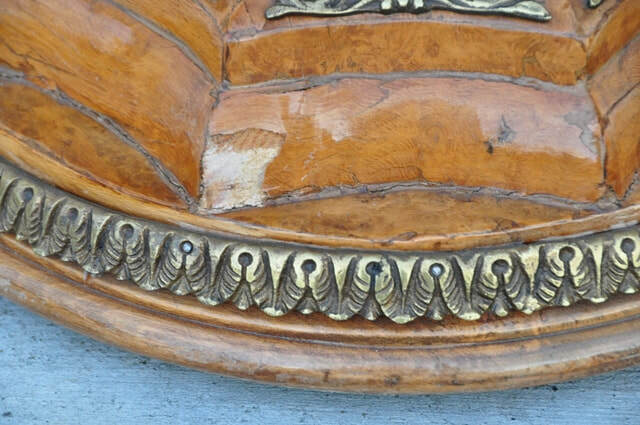 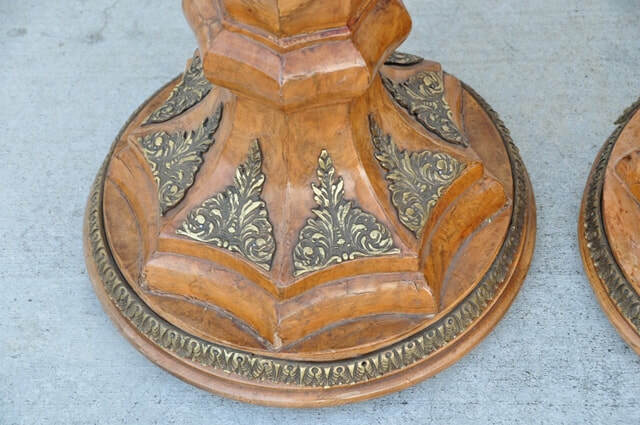 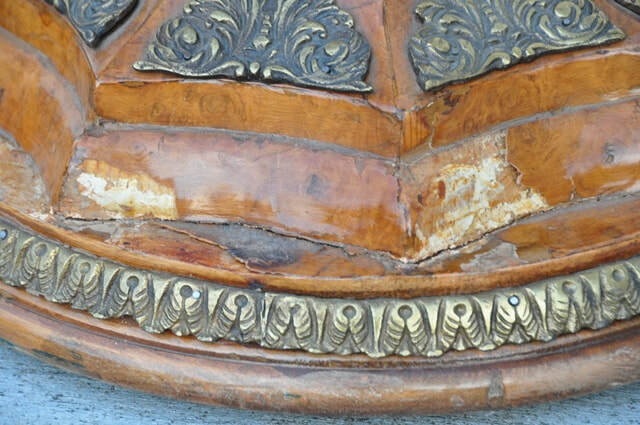 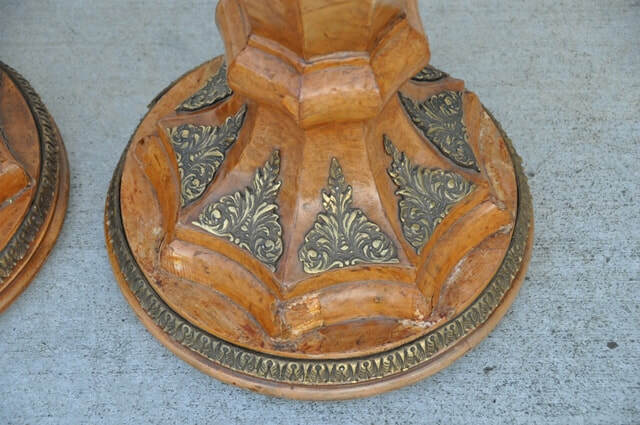 Burlwood veneers have been used on the columns and there are bronze mounts on them. 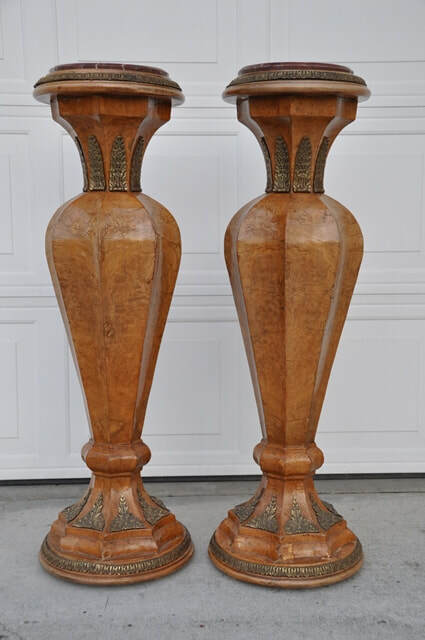 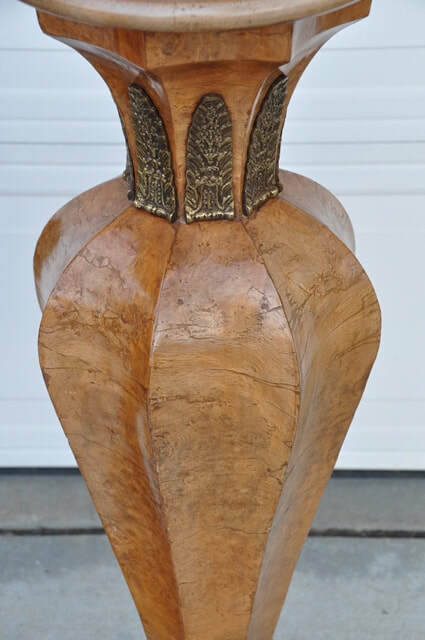 The pedestals are each 43" tall and the top and bottom are 13" wide. 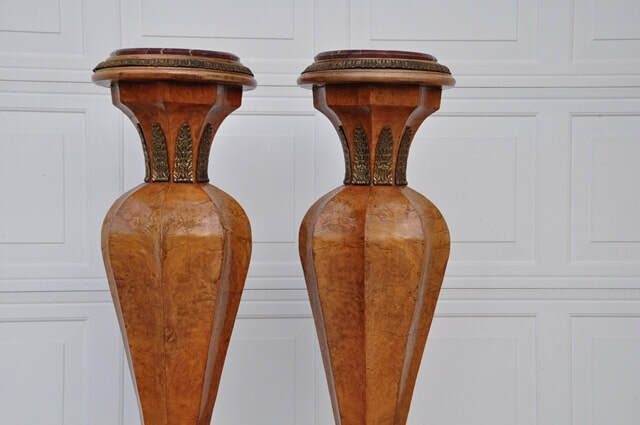 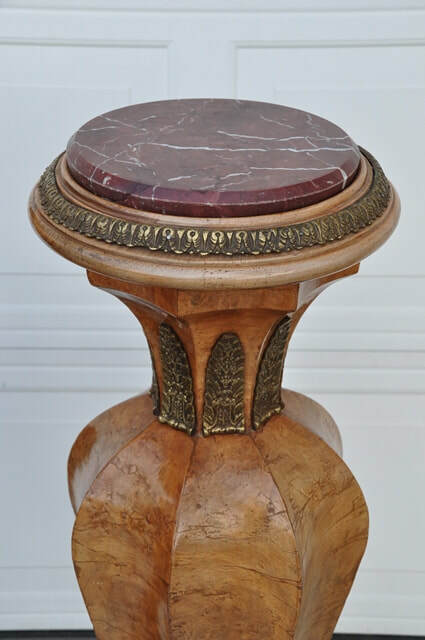 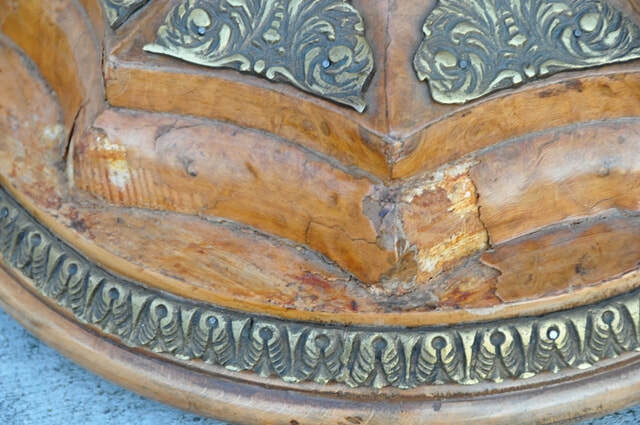 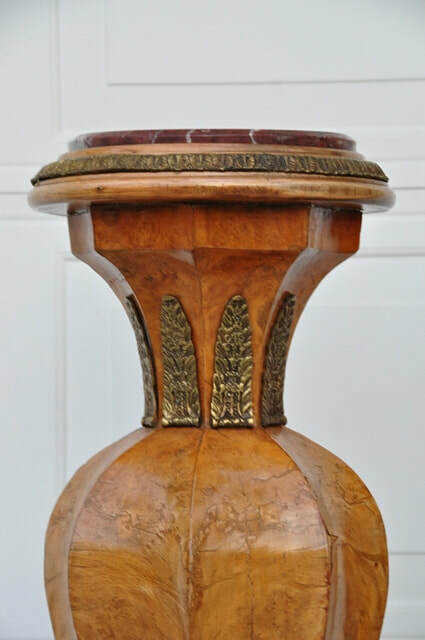 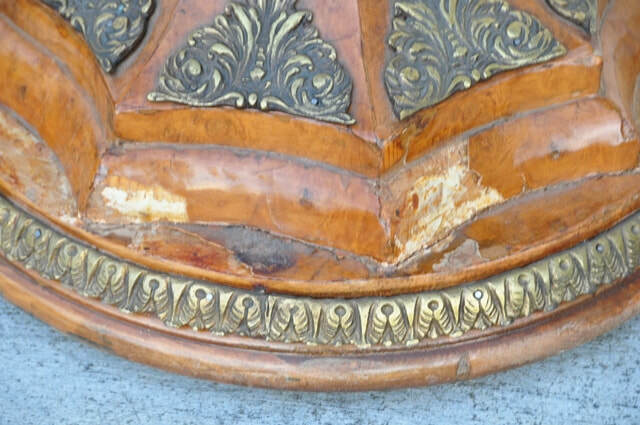 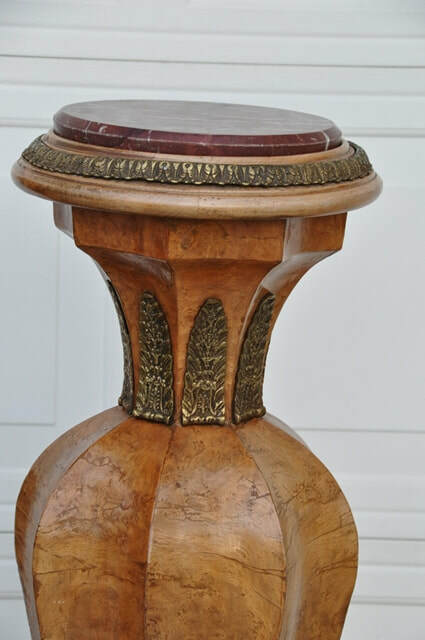 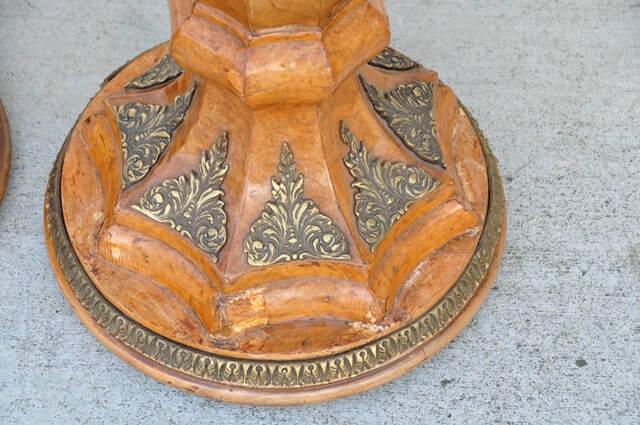 The pedestals have some wear due to age, but are still very desirable because of the very interesting and unique design.